Fall pictures will be taken on Septeber 24th. Place your order now on-line. 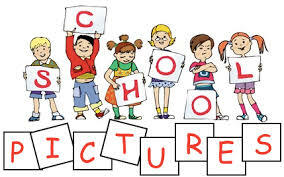 Fall pictures are scheduled for Monday, September 24th. Paper order forms will be sent home with students this week. Want to skip sending the paperwork back to school? You can visit LifeTouch Portraits to order online. The Hauser Fall Picture Day ID Code is: RN098071Q0. Online ordering offers several benefits including additional looks, digital products, and a FREE Shutterfly photo book. Take a peek now to see what LifeTouch has to offer. Details and questions can be answered by visiting their website or calling: 630-910-6800. Remember: If you order online, you do not need to send any paperwork or money back to school!